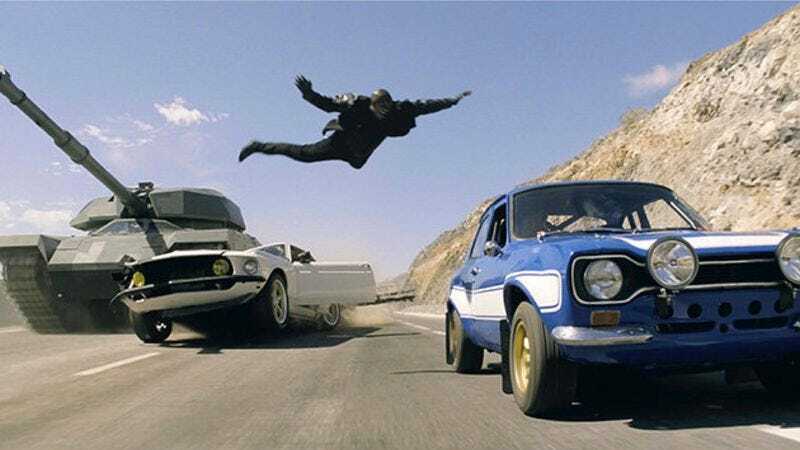 Director Justin Lin spent four years (and three eclectically named sequels) pushing cars around as the temporary steward of the Fast & The Furious franchise, ramping them off of stuff, setting off giant explosions, and (we’re guessing) making “vroom-vroom” noises with his mouth. Now, after a brief detour into the world of spaceships and even bigger booms, Lin is getting back to playing with his cars again. According to The Hollywood Reporter, the Star Trek Beyond director has signed on to helm the Hot Wheels movie, the one that various Hollywood studios have had in the works for years now. Last we’d heard, Hot Wheels was being directed by prolific stunt coordinator and second unit director Simon Crane, and was set to center on “a washed-up Illinois State Trooper who, after a dangerous military device falls into the hands of a criminal, fights the man his father once put behind bars.” Interestingly, that new, “grittier” direction for the toy-based movie was largely inspired by the success of Lin’s Fast & Furious, Fast Five, and Fast & Furious 6, the revitalized fourth-through-sixth installments of the popular car caper franchise. Said treatment is apparently getting tossed away like so many used nitrous canisters, though, as Lin is reportedly seeking a new writer to script the film. Hot Wheels is currently in early development, and won’t be Lin’s next project. The sought-out director recently announced that he was working to develop S.W.A.T. as a TV series for CBS, and is reportedly working on film sequels to both Highlander and Space Jam.